UPDATE 08.17.18 As you may have noticed, I abandoned the logging of my stolen artwork being sold by thieves. It sucked the joy from my soul. I am sure this is still going on but for now, I am doing my best adulting by ignoring it for awhile. The wanton theft of intellectual property doesn’t just happen to big business – independent artists have been terribly hurt by this as well. Not only do these thieves steal our images they often rip off our descriptions and keywords as well, dinging and damaging our carefully crafted SEO work. So, buyer beware. If you are ever unsure of a product that appears to be by The Art Of Vikki, check this website to see if the store is officially licensed. All authorized dealers of my art are linked via the shopping carts at the bottom of each page. And yes, the coloring books on Amazon by The Art Of Vikki are indeed authorized and legit. 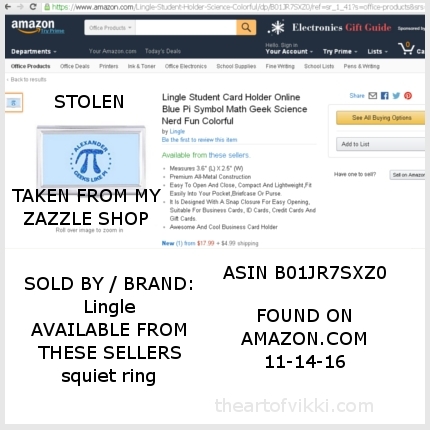 If you are visiting my website because you purchased an item with my artwork on it from Amazon.com, I have bad news for you: I am 99.44% certain that you are now in possession of counterfeit merchandise. Exception: my new coloring books for adults - The Classy Lady's Coloring Book, Wedding Fashion And Traditions and Fanciful Mandalas, Flowers And Patterns - are available for purchase on Amazon. The only other way way to purchase my artwork and designs legally and legitimately is directly from me or as prints and goods via Zazzle.com, Redbubble.com and my other online shops via authorized websites. 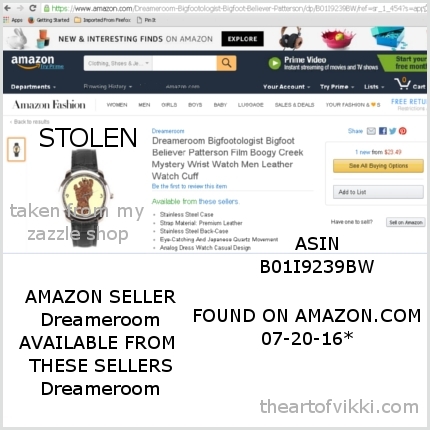 All legitimate TheArtOfVikki stores and merchandise are linked here on my official website. 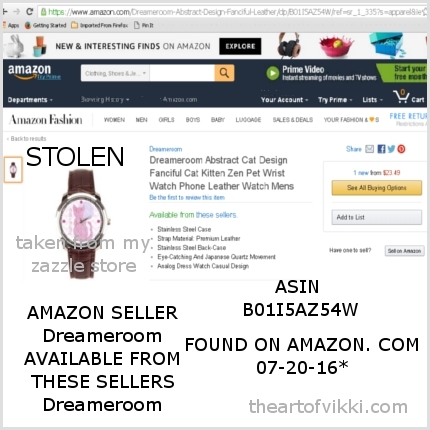 I have decided to publish this online directory of Amazon fakes infringing on my copyrights in case someone sees my website url in the design on the fake item and visits this site. 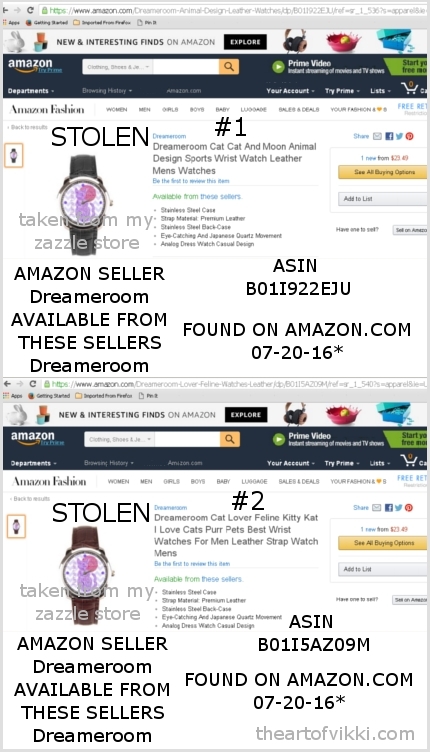 If you have purchased any of these items in the past via the Amazon site, now you know that you spent your money on counterfeit goods. The third party seller and Amazon.com both profited directly from your purchase, while I, the artist, did not receive any payment or monies what so ever. Not a dime. Not a single penny. I want to make it very clear: NOTHING on Amazon (or eBay or Etsy or any of the fake scrapper websites) being sold with my artwork and designs is legitimate. Not the tee shirts or shower curtains or phone cases or pillows or watches or mugs or whatever else the counterfeiters offer up next. It is all FAKE merchandise being produced without my knowledge or consent. It is blatent copyright theft, plain and simple. 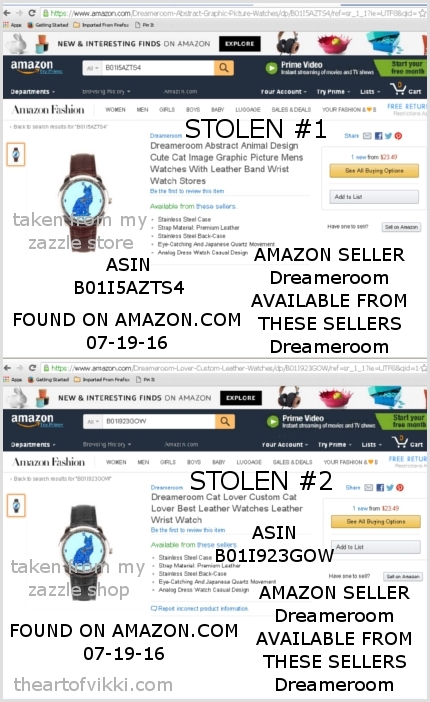 I highly suggest these investigative articles "Birkenstock Quits Amazon In US After Counterfeit Surge July 20, 2016" and "It's Like A Fungus - Says Independent Dealer About Counterfeits On Amazon July 16, 2016" and "Amazon's Chinese Counterfeit Problem Is Getting Worse July 8, 2016" and "Amazon Counterfeiters Wreak Havoc On Artists And Small Businesses May 25, 2016" which better explain the Amazon situation regarding counterfeits and how Amazon has become filled with them. It's only getting worse. Buyer beware. Today as I was working on cataloging the growing infringements of my artwork on Amazon, I became angrier than usual when dealing with this. 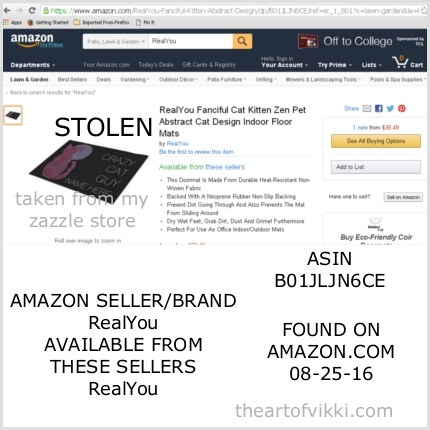 I am spending more and more time on locating, documenting, reporting and verifying the removal of my designs on counterfeit items being sold on Amazon.com. I have excellent time management skills but when the blocks of time that one carves out of the day to address this problem must be increased over and over again, eventually there is no time left to actually make art and thus money, no matter how smart or hard working one is. So I checked my spreadsheet for every infringement reported so far. I consider every upload and individual link of my artwork designs being used without my permission as a seperate infringement. 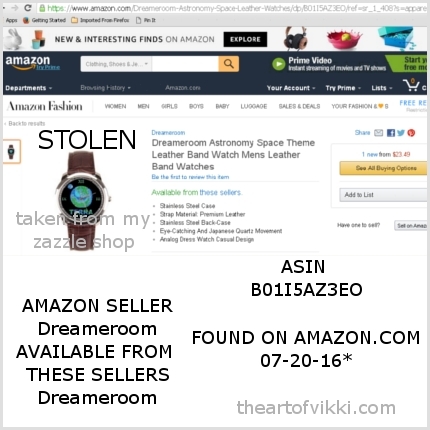 Some have been offered for sale just once by just one Amazon Seller or Amazon Brand, but many are either offered multiple times with seperate Amazon ASIN numbers and/or multiple other sellers pulling from the Amazon Catalog to sell the same infringing work as the original uploader, and sometimes both. As of today, the count of total infringents of my artwork equals 152. A non-exclusive extended license fee for artwork or photographs runs between approximately $150.00 to $200.00 per image, per product type, per year, if legitimate companies were licensing these images. When computing the 152 individual infringement links by the average licensing fee that I was NOT paid for the use of my images, the total is between $22,800.00 and $30,400.00 just for the designs I have been able to find on Amazon.com between October 2, 2015 and July 20, 2016. $30,000.00 might sound like chump change to some, but I consider that to be a pretty major theft. Again, this is just comparing unauthorized use without a license and does not take into account actual lost sales of the legitimate items nor the profits made by any and all unauthorized sales of my intellectual property. 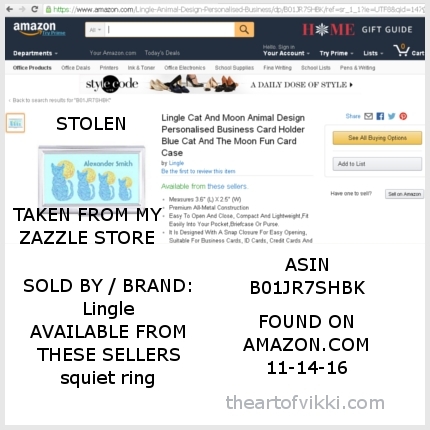 Normally I post a screenshot of each infringement I find for this online catalog of fake merchandise on Amazon.com that uses my designs. However, this particular Amazon Seller / Brand had FOURTY THREE SEPERATE LISTINGS using my red, white and blue "Trump and the Deplorables Irredeemable World Tour" funny Trump design, I decided to just show a sample of what they were offering for sale. Multiple listings, some nearly identicle, of shirts, hoodies, baby clothing and... ladies underwear??? This Redbubble version of my "Trump and the Deplorables Irredeemable World Tour" design being sold through the Merch By Amazon program and is sold DIRECTLY BY Amazon.com - The company is making direct profits off of my design and my intellectual property without my authorization, permission or license agreement. When I found this shirt with my "Trump and the Deplorables Irredeemable World Tour" design in red white and blue, I thought to myself Oh goodie, Merch By Amazon sold BY Amazon.com... just what I need, another direct battle with the company. I'm still exhausted and disgusted by the two month struggle to get my Deplorable Voter God Bless America and Deplorable American designs removed from the Merch By Amazon program, and they REFUSED to remove two of the Voter shirts. REFUSED! In case you missed it, Merch By Amazon shirts are actually printed and SOLD by Amazon.com so there is no third party seller involved and no Safe Harbor as applied by the DMCA law. My red white and blue "Trump and the Deplorables Irredeemable World Tour" design was taken from my Redbubble shop and placed, somehow, on baseball caps, which this seller began peddeling on amazon. The weird thing is that Redbubble doesn't even sell hats right now. If they did, that would be the ONLY place to purchase an authorized version of this design on a cap. My design. MY artwork that I did not license to anyone else to sell on Amazon or anywhere else. The four hats are Fake Merchandise. Don't buy them! This is my Purple Cat And The Moon artwork. 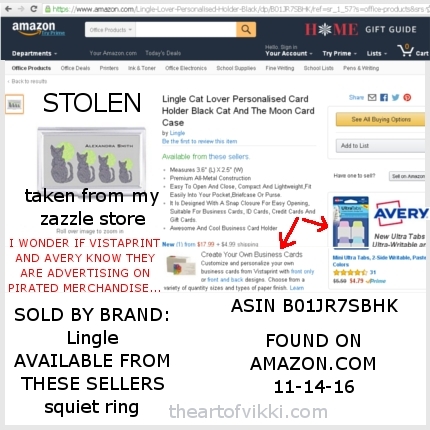 This particular "seller" swept through my Zazzle shop and stole images of every hard case business card holder I had created. They picked up business card holders from many of the Zazzle designers then opened up a "store" on Amazon.com as a third party seller and offered up OUR designs without OUR permission or authorization. My funny walking Bigfoot design: This business card holder, taken from my Zazzle store, features my Bigfoot and the words "It's a known fact that squatch likes what I like" and space for a personalized name. This is my Sasquatch track design, available exclusively on zazzle.com where my Bigfoot artwork does pretty well. 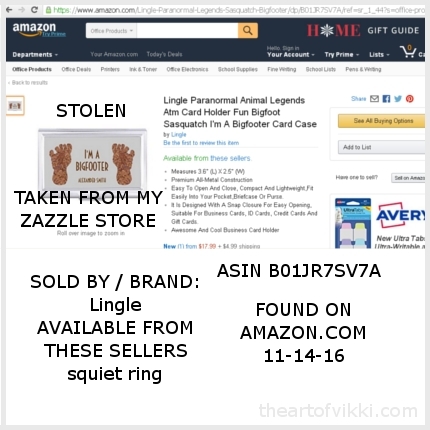 Until one of the products get's stolen and put up for sale on amazon.com like this "I'm A Bigfooter" business card holder. Red Cat And The Moon on a hard cover business card holder. 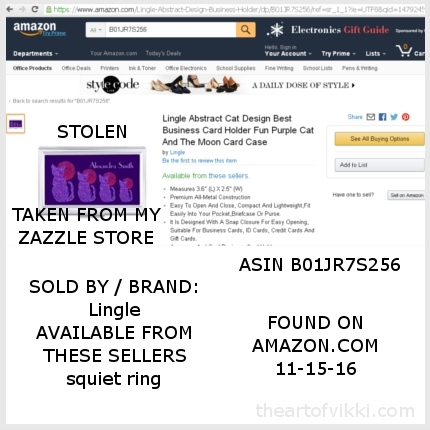 This cat design on this type of business card holder is actually available in my Zazzle store, which is where this seller / brand / manufacturer / counterfeiter took it from. This is the orange and blue version of my Cat And The Moon series. The cat is in shades of orange and browns and the moon is several shades of blue, all done in my dots and dashes style. Yet another business card holder with my designs offered by some person I don't know on a site that I don't sell on i.e. Amazon. UNAUTHORIZED UNAUTHORIZED UNAUTHORIZED!!! My "I'm Going To Mars Manned Mission 2030" design is a variation of the original Mars The Red Planet art created years ago and offered exclusively at Zazzle. Yet another design poached from my store by this seller and sold on business card holders without my permission or knowledge. Fake merchandise on amazon.com, right here. Yup. This is my "Geeks Like Pi" blue Pi symbol design on a business card holder. Taken from my Zazzle store, this Pi symbol artwork has space at the top for a personalized name, IF you purchase it from my Zazzle shop which is the only place to buy this particular design and be assured it is not a pirated copy. A series of my original blue cat and the moon artwork with a light blue background created on a business card holder. This image, from my design to the actual card holder merchandising photo, were lifted from my Zazzle shop. A personalized business card holder featuring four images of my black cat and the moon along with an optional name. This cat theme business card holder can actually be customized when purchased LEGALLY from my Zazzle store. The counterfeit version on Amazon.com? Not so much. Things have gone from bad to worse. 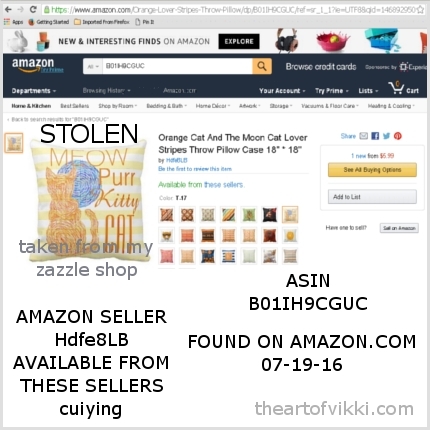 The next sixteen items in this catalog of pirated items were not offered by so called third party sellers or Chinese Brands on Amazon. Nope, these sixteen shirts are all sold by Amazon.com. Yup, these counterfeit shirts are all produced by Merch By Amazon and sold directly by Amazon.com. To read the full story of the original Deplorable Voter God Bless America shirt, the original Deplorable American shirt and the pirated versions sold by Merch By Amazon, please visit my Blog. This ladies fit cranberry color tee shirt is the eleventh unauthorized copy  of my Deplorable Voter God Bless America shirt that is offered exclusively in my Redbubble Shop. I created this design on September 12, 2016 and offered it for sale on Redbubble that evening. It proved to be a top seller until the design was stolen and offered for sale on Amazon at which time my shirt sales via Redbubble screeched to a halt. 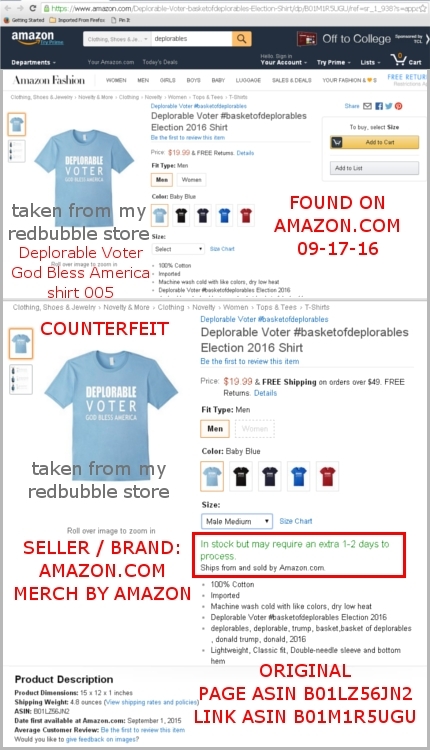 On September 17th I found eleven seperate counterfeit Deplorable Voter God Bless America shirts listed on Amazon, all Merch By Amazon shirts, and reported all eleven of them to Amazon.com's copyright office via seperate emails. 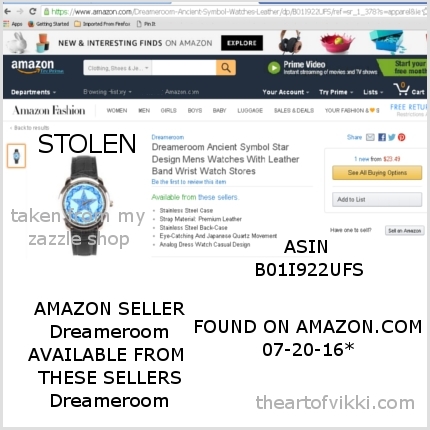 As of 09-27-16 I have emailed six seperate DMCA takedown notices and subsequent FAILURE TO COMPLY notices to Amazon's copyright/trademark team in regards to this listing. I received four responses: 09-21-16 "As these items do not share artwork we do not believe there is a copyright claim here." an identical message from a different agent on 09-23-16, an automated response email also on 09-23-16 and then on 09-25-16 "We respect the intellectual property rights of others. We require that sellers on our site do the same. If you think that an item on our site infringes your intellectual property rights, please submit a complaint using our online form." to which I replied "The law requires that I provide written communication of the copyright infringement, which I did via email on September 17, 2016, and is located at the bottom of this message. The law does not require that I use Amazon's online complaint form." 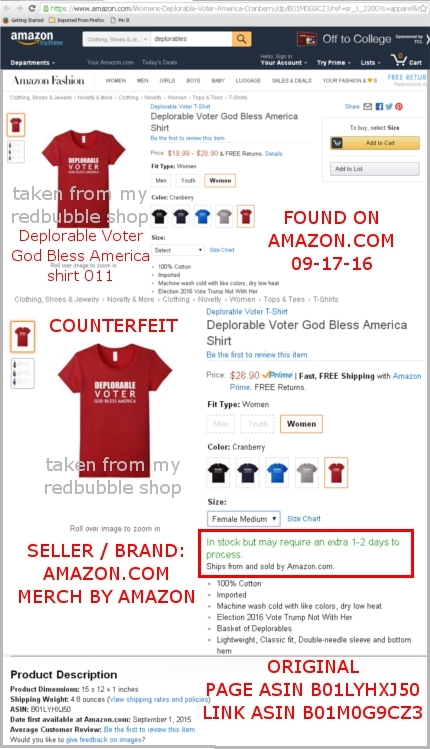 So this counterfeit listing Deplorable Voter God Bless America 011 remains live on Amazon, being offered via the Merch By Amazon platform and sold by Amazon.com, without authorization, a licensing agreement or any compensation to me, the artist, designer and holder of the copyright on this design. This men's fit Deplorable Voter God Bless America shirt 010 in asphalt gray is the tenth such listing I found on Amazon.com and is being sold via the Merch By Amazon platform by Amazon.com, Inc. I emailed three official DMCA takedown notices and subsequent FAILURE TO COMPLY notices to Amazon's copyright/trademark team in regards to this listing. I received only one reply: 09-21-16 "As these items do not share artwork we do not believe there is a copyright claim here." 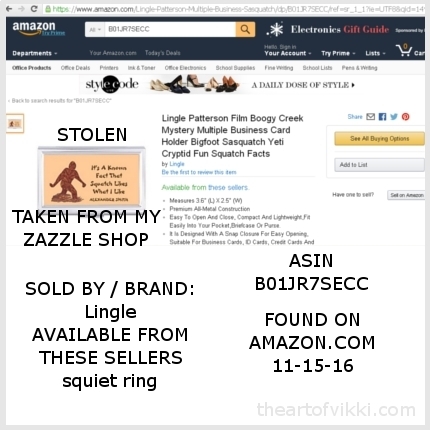 However, on 09-22-16 while checking the listings prior to another round of DMCA notices, I discovered that this listing had been removed from Amazon. So that is one Deplorable Voter God Bless America shirt removed and one Deplorable American shirt removed, out of sixteen reports. 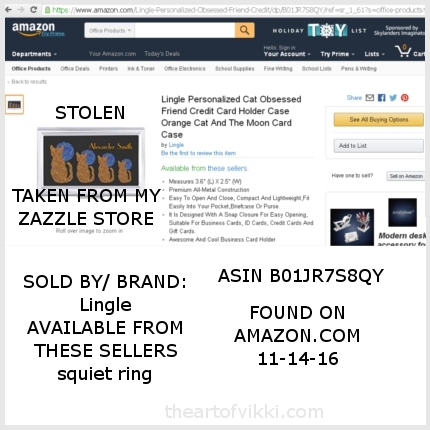 I'm grateful that this particular counterfeit was removed but I still don't understand how or why Amazon would take down two listings but ignore and refuse to take down the other fourteen identical infringements... it makes no sense. This ladies fit Deplorable Voter God Bless America shirt 009 in baby blue is the nineth such listing I found on Amazon.com and is being sold via the Merch By Amazon platform by Amazon.com, Inc. "Deplorable American #basketofdeplorables Election 2016" is the title of this fake version and is the exact same title that I gave my authorized listing that is sold exclusively in my Redbubble store. They take everything. 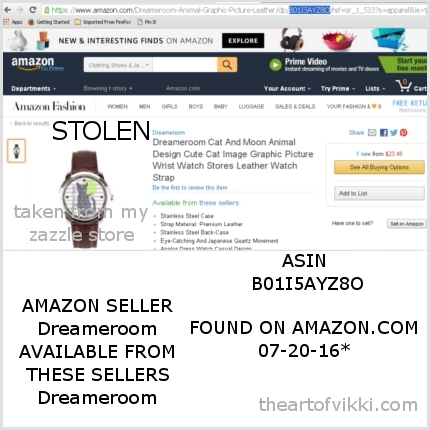 As of 09-27-16 I have emailed six official DMCA takedown notices to Amazon's copyright/trademark team in regards to this listing. I have received just two replies: September 21st "Thank you for your message. The items you identified below share a simple phrase with the items you list. Short phrases are not covered by copyright, nor are ideas. As these items do not share artwork we do not believe there is a copyright claim here." and September 26th "We still need more information about your complaint. 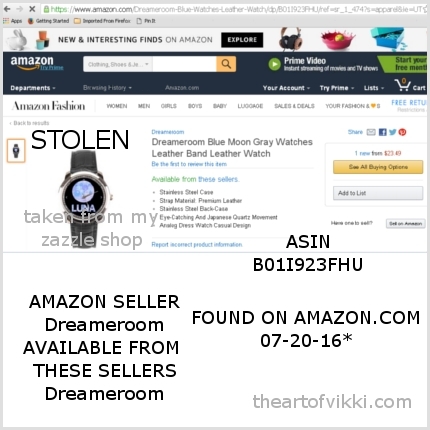 Complaint ID: 7-------- Please reply to this email with the following: A list of every third-party seller for each item that you think infringes your copyrighted material. A statement by you that you have a good-faith belief that the disputed use is not authorized by the copyright owner, its agent, or the law. A statement by you that the above information is correct and that you are the copyright owner or are authorized to act on behalf of the copyright owner." to which I replied "1. Not third party sellers, it's being sold by Amazon.com 2. At the bottom of this email and all previous emails 3. Ditto." Meanwhile the other four emails that I've sent have been completely ignored by the Amazon Copyright/Trademark Team in total defiance of the DMCA laws. This counterfeit Deplorable Voter God Bless America graphic design #009 is currently still available for sale on Amazon and the listing page proudly displays: ships from and sold by Amazon.com and they absolutely positively REFUSE to remove it when served with a proper and legal written communication of a DMCA notice, not once, not twice, but six times now. This youth fit Deplorable Voter God Bless America shirt 008 in navy blue is the eighth listing found on Amazon.com and is being sold by Amazon.com, Inc. via the Merch By Amazon platform. 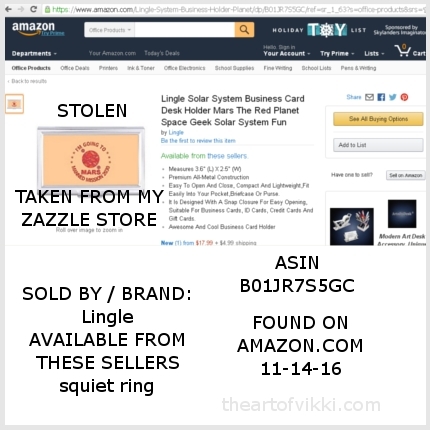 As of September 27, 2016 I have emailed five DMCA takedown notices to Amazon's copyright/trademark office regarding this listing that infringes on my copyrights. I have received just one reply: September 21, 2016 "Thank you for your message. The items you identified below share a simple phrase with the items you list. Short phrases are not covered by copyright, nor are ideas. 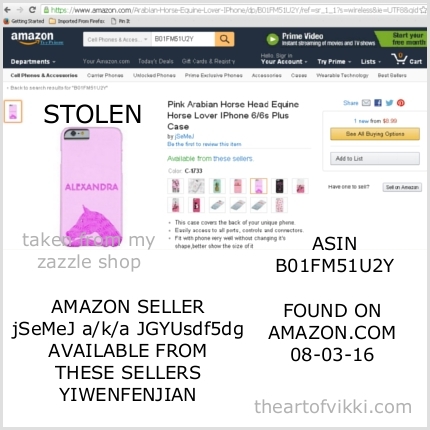 As these items do not share artwork we do not believe there is a copyright claim here." while the other four emails have been completely ignored by the Amazon Copyright/Trademark Team. 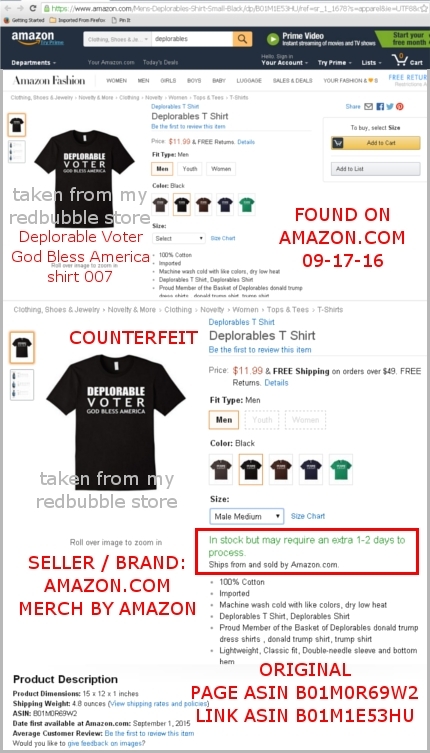 This counterfeit Deplorable Voter God Bless America graphic design #008 is currently still available for sale on Amazon and the listing page proudly displays: ships from and sold by Amazon.com. Does Amazon sell fake products? You better believe it. And let me point out again that this is Amazon the corporation that is selling tee shirts printed on demand with my intellectual property that is unlicensed and unauthorized. This is not third party sellers or Chinese counterfeiters, this is Amazon.com profiting from MY design, and they absolutely positively REFUSE to remove it when served with a proper and legal DMCA notice. This men's fit Deplorable Voter God Bless America shirt 007 in black is the seventh listing found on Amazon.com and being sold by Amazon.com, Inc. via the Merch By Amazon platform. 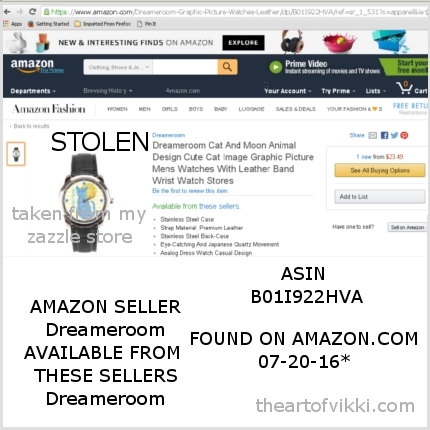 As of September 27, 2016 I have emailed five DMCA takedown notices to Amazon's copyright office regarding this listing. I have received just two replies: September 21, 2016 "these items do not share artwork we do not believe there is a copyright claim here" i.e. we refuse to comply with your DMCA notice and a second email on September 21, 2016 "Our internal team has been notified. You will be notified shortly via email. Thank you." from Merch by Amazon Support whom I began CC'ing when I discovered that these listings were all tied to Merch By Amazon, not third party sellers or Chinese counterfeiters. The other three emails have been completely ignored by the Amazon Copyright/Trademark Team. This counterfeit Deplorable Voter God Bless America graphic design, taken from my Redbubble store, this version being #007 in my records, is currently still available for sale on Amazon and the listing page proudly displays: ships from and sold by Amazon.com. This navy blue women's fit Deplorable Voter God Bless America shirt 006 is the sixth listing found on Amazon.com. Once again, the title was taken from my authentic Redbubble listing "Deplorable American #basketofdeplorables Election 2016" and used verbatim when uploaded to Amazon's Merch platform. 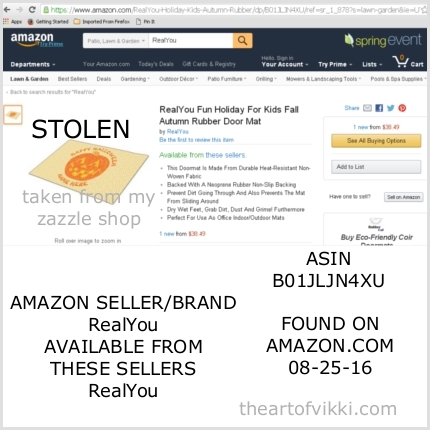 As of 09-27-16 I have sent six seperate emails to Amazon.com containing proper DMCA takedown notices for this listing, but I have received only two replies: September 21st "these items do not share artwork we do not believe there is a copyright claim here" which is refusal to comply and September 26th "Thank you for your email. We are unable to accurately identify the items you reference in your correspondence. What you can do To help us correctly identify the item(s), please respond with one of the following: 1. Cut and paste the direct link to each item. 2. Provide us with the ASIN or ISBN-10." to which I replied "1. The link has been in the original email included at the bottom of all emails and is at the bottom of this reply 2. Dito the ASIN numbers." The other four emails have been ignored. 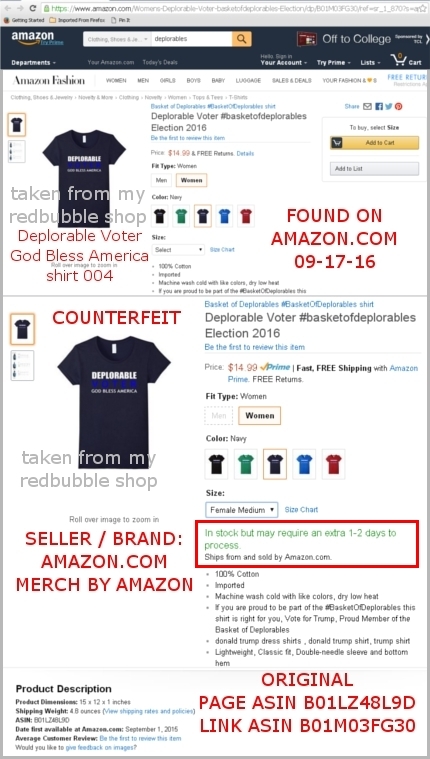 This counterfeit shirt is still available to purchase on Amazon.com and they continue to profit from the sale of my Deplorable Voter God Bless America design, this version being #006 in my records. This men's style light blue Deplorable Voter God Bless America shirt 005 is the fifth listing I found on Amazon.com. 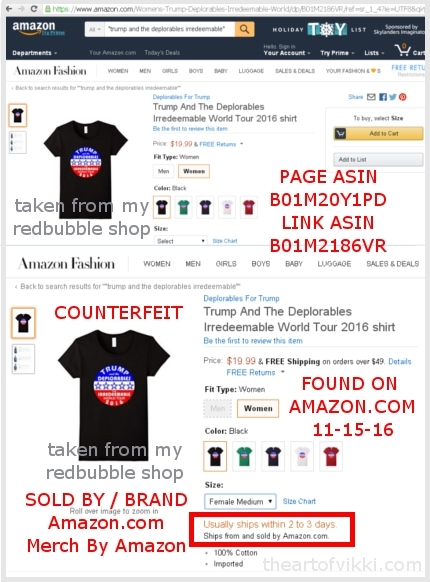 Note that the title from my authentic Redbubble listing "Deplorable American #basketofdeplorables Election 2016" was also stolen and used when it was uploaded to Amazon's Merch platform. 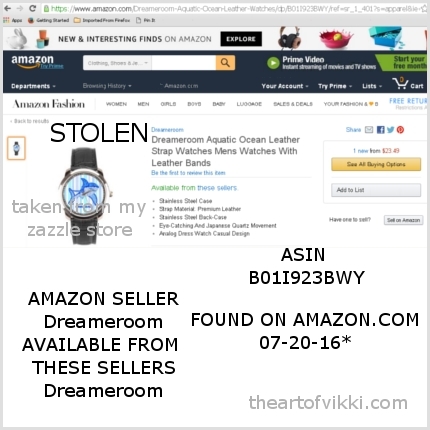 As of 09-27-16 I have sent five seperate emails to Amazon.com containing DMCA takedown notices for this listing, but I have received only two replies: 09-21-16 when I was told the listing would not be removed because "these items do not share artwork we do not believe there is a copyright claim here" and 09-23-16 "Our internal team has been notified. Please allow up to 48 hours for a response from our team via email. Thank you." from Merch by Amazon Support, whom I began to include in my CC's on September 21st when I discovered the link to Merch By Amazon. The other three emails have been ignored and this listing is still live. 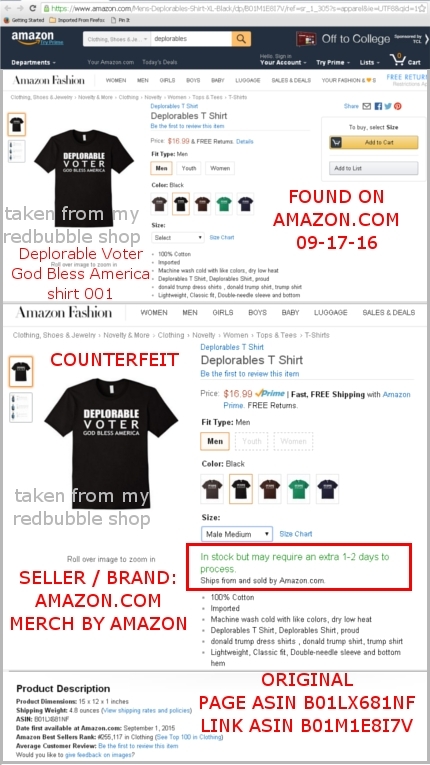 Amazon.com continues selling this counterfeit Deplorable Voter God Bless America shirt, #005 in my records. Amazon profits directly from the sale of counterfit shirts using my graphic design while infringing on my copyrights and absolutely refuses to remove them, despite the DMCA law. This women's style pirated Deplorable Voter God Bless America shirt 004 in navy is the fourth version I found on Amazon.com. Note that the exact title from the authentic Redbubble listing "Deplorable American #basketofdeplorables Election 2016" used when uploading the design stolen from me to Amazon's Merch platform for approval. 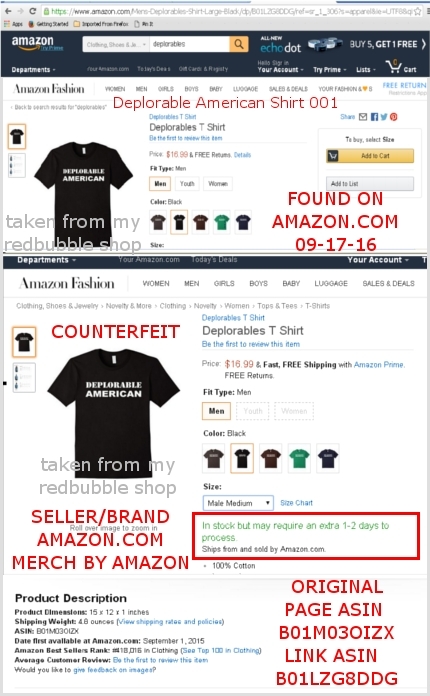 I have sent five seperate DMCA takedown notices via email to Amazon.com regarding this listing, but as of September 27th I have received just one reply: 09-21-16 I was advised the shirt would not be removed because "these items do not share artwork we do not believe there is a copyright claim here" while the other four emails have been ignored. 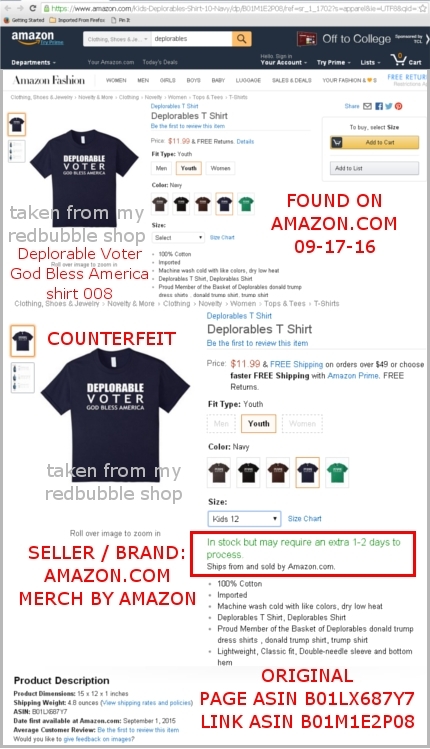 This listing is still on Amazon.com and the company is still selling this counterfeit Deplorable Voter God Bless America shirt 004. Amazon continues to profit directly from the sale of merchandise using my intellectual property without authorization, a license agreement or any compensation. This women's style pirated Deplorable Voter God Bless America 003 shirt in navy is the third version I found on Amazon.com. This one also copied my exact title from Redbubble "Deplorable American #basketofdeplorables Election 2016" and used it when uploading the stolen design to Amazon's Merch platform for approval to sell. 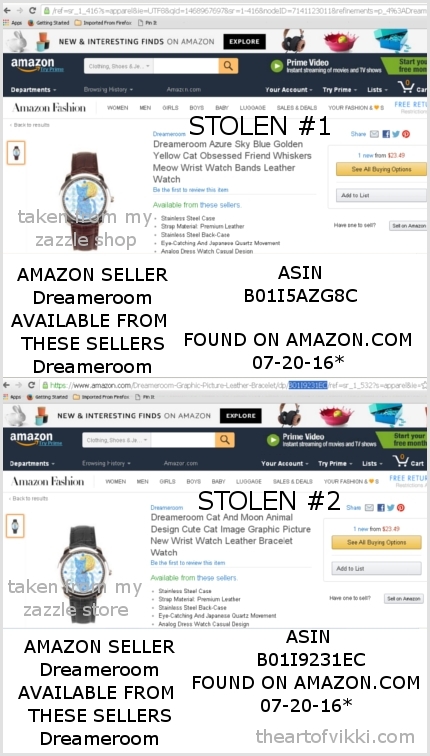 I have sent five seperate DMCA takedown notices via email to Amazon.com regarding this listing, but as of September 27th I have received exactly two replies. 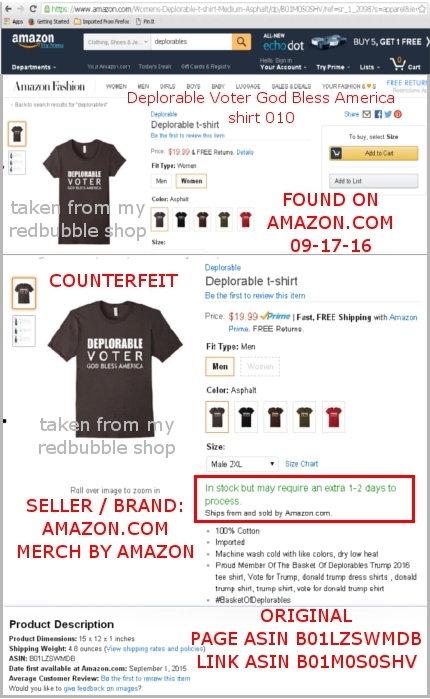 The first was on September 21st advising the shirt would not be removed because "these items do not share artwork" and a second one on September 24th: "My name is E--, and I’m a member of the Amazon.com Executive Seller Relations Team. Jeff Bezos received your email and requested that our team respond on his behalf. I apologize for any frustration that this situation may have caused you and have researched into the actions taken by the Copyright/Trademark Team. I found that the Copyright Team had reached out to you on September 21st regarding your infringement report. In the event that you did not receive their correspondence, I have included it below:" Yes, thank you, I got that email that refuses to remove the item that is infringing on my copyrights. Thanks. Meanwhile, the other three emails have been ignored and the listing is still live on the website. 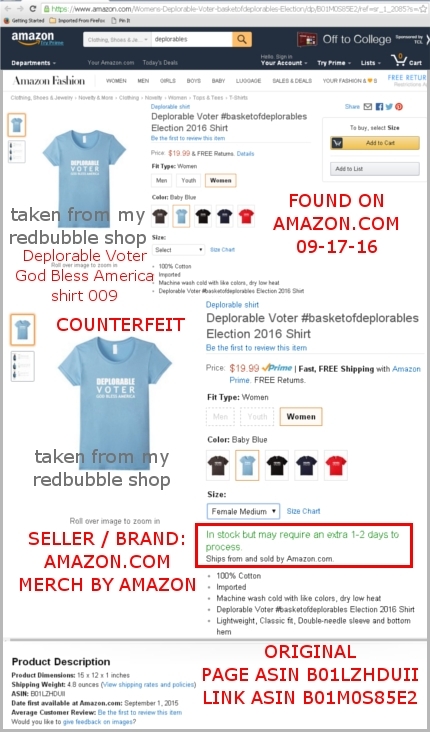 Amazon.com is still selling this fake Deplorable Voter God Bless America shirt 003 via Merch By Amazon, and continues to profit directly from the use of my intellectual property without authorization or compensation. This women's style black fake Deplorable Voter God Bless America 002 is the second one I found on Amazon.com. 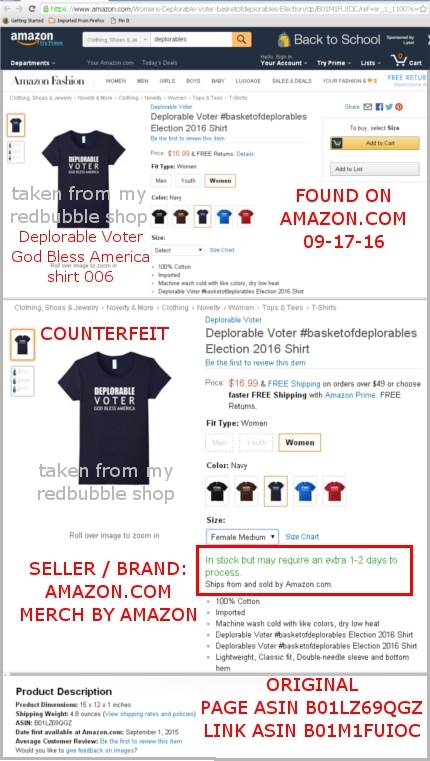 This is one of many of these fake shirts that copied my title from Redbubble "Deplorable American #basketofdeplorables Election 2016" and used it when uploading the copied design to Amazon's Merch platform for approval. 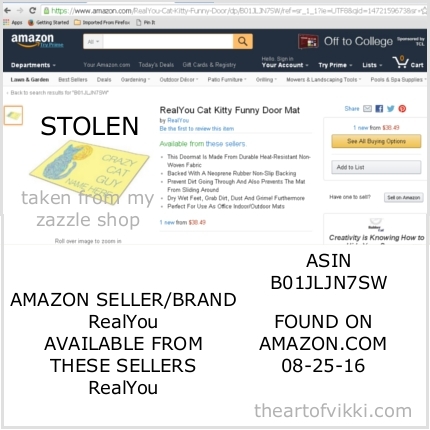 I have sent five seperate DMCA takedown notices via email to Amazon.com regarding this listing, as of September 27th. I received a lone reply on September 21st indicating they would not be taking down the shirt despite my DMCA notice, while the other four emails have been ignored completely. 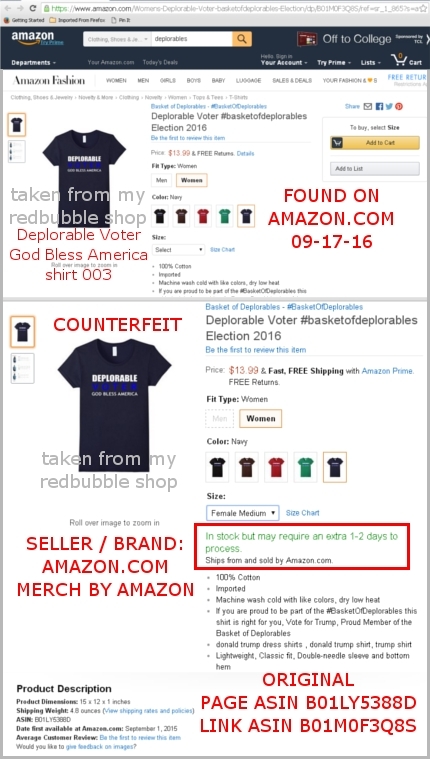 Meanwhile, Amazon.com and Merch By Amazon is still selling this counterfeit Deplorable Voter God Bless America shirt 002, continuing to profit from my intellectual property without permission or compensation. And since Amazon's copyright/trademark agents are very fond of pointing out copyright.gov's circular 01 "What Is Not Protected by Copyright?" may I point out that the publication in question states that "mere variations of typographic ornamentation, lettering, or coloring" cannot be copyrighted, thus, changing VOTER from white in my design to dark blue in the counterfeit version is a "mere variation of coloring" and does not create a new work of authorship. It's still stolen. This men's style black fake Deplorable Voter God Bless America shirt is the first one I found on Amazon.com. 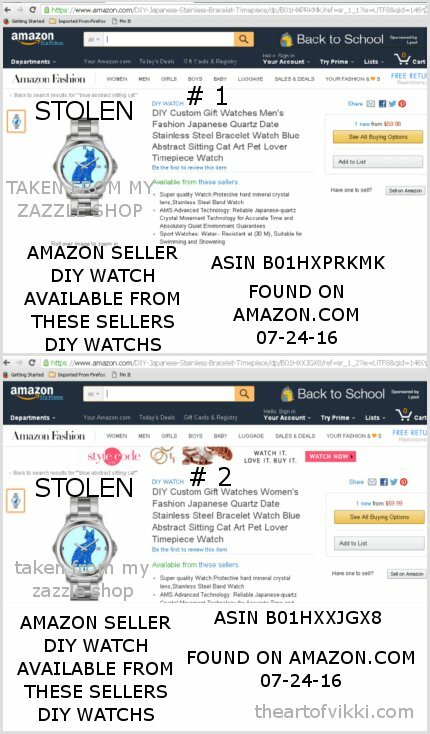 As of 09-27-16 I have sent five seperate DMCA takedown notices via email to Amazon.com regarding this listing, number 001. I received a single reply on September 21, 2016 "...these items do not share artwork we do not believe there is a copyright claim here." which is a refusal to remove this listing and comply with DMCA Safe Harbor guidelines. The other four DMCA notices have been completely ignored. Meanwhile, Amazon.com and Merch By Amazon is still selling this fake version of my Deplorable Voter God Bless America shirt, continuing to use my intellectual property without authorization. This is the fifth unauthorized copy  of my Deplorable American shirt that is offered exclusively in my Redbubble Shop. I created this design on September 12, 2016 and offered it for sale on Redbubble that evening. It proved to be a top seller until it was stolen and offered for sale on Amazon at which time my shirt sales via Redbubble screeched to a halt. On September 17th I found five seperate counterfeit Deplorable American shirts listed on Amazon, all Merch By Amazon shirts, and reported all five of them to Amazon.com's copyright office. As of September 27, 2016 I have sent five DMCA takedown notices via email to Amazon.com regarding this listing, number 005 in my records. I received one lone reply on 09-21-16 "...these items do not share artwork we do not believe there is a copyright claim here." indicating a clear refusal to comply with DMCA Safe Harbor provisions and remove this listing. The other four emails have been completely ignored. 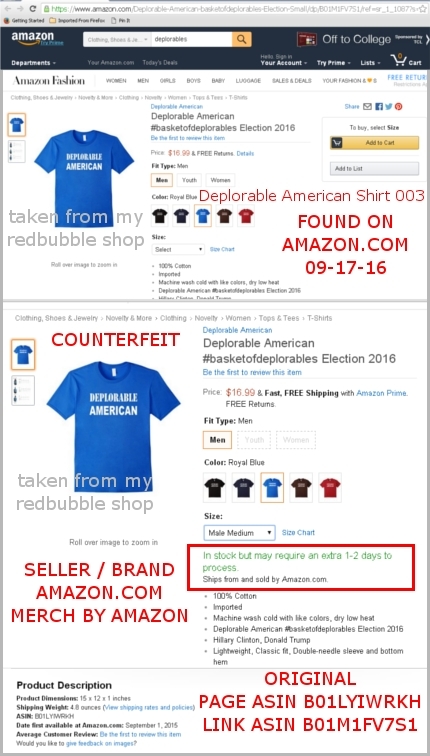 Meanwhile, Amazon.com and Merch By Amazon continues to sell this fake version of my Deplorable American shirt without my authorization, permission, a signed licensing agreement or any monetary compensation for using my intellectual property. This youth style Deplorable American shirt in navy blue is counterfeit number 004 discovered on Amazon.com. 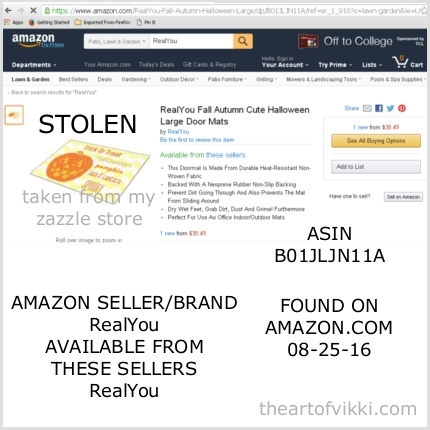 As of September 27, 2016 I have sent five DMCA notices via email to Amazon's copyright office regarding this listing. I have received one automated response and one "Thank you for your message. The items you identified below share a simple phrase with the items you list. Short phrases are not covered by copyright, nor are ideas. As these items do not share artwork we do not believe there is a copyright claim here." email reply dated September 21, 2016. 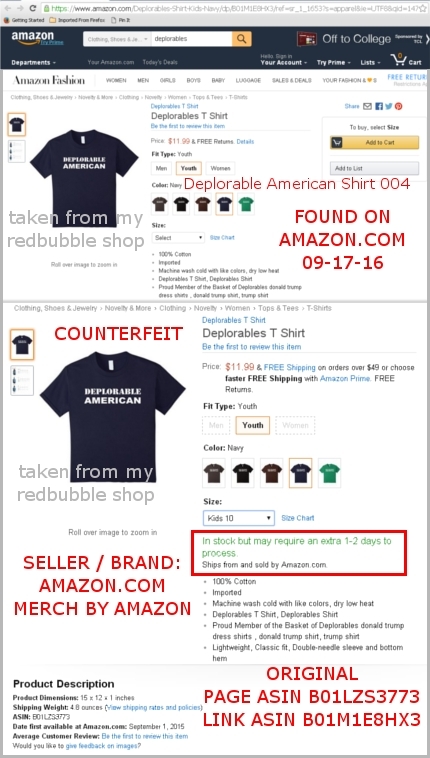 Meanwhile, Amazon.com continues to sell this fake Deplorable American 004 shirt without my authorization or permission. This is the third Deplorable American shirt discovered on Amazon.com, number 003, men's style in bright blue. This is another of the shirts where the MBA account member even copied the exact title from Redbubble: "Deplorable American #basketofdeplorables Election 2016" when they uploaded the design stolen from me to be approved or rejected by Merch By Amazon. 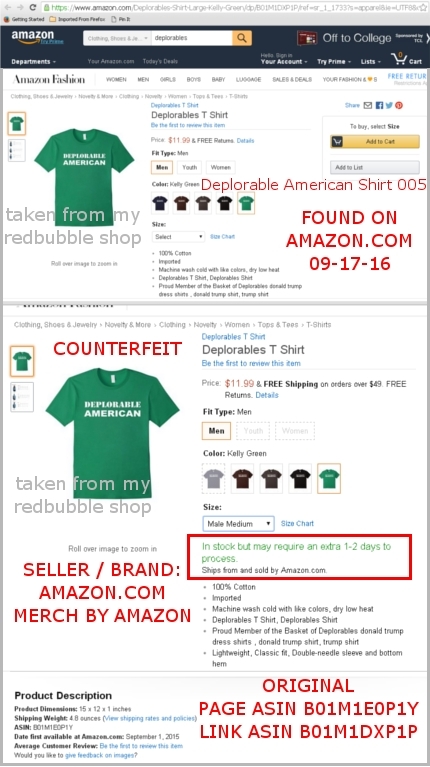 As of 09-27-16 I have emailed Amazon's copyright office five seperate times and have received one automated response and one email dated September 21, 2016 "sorry, we will not remove this because we don't feel there is a copyright claim here" while Amazon.com continues to sell Deplorable American 003, profiting from my intellectual property without any license agreement. This is the second Deplorable American shirt I discovered on Amazon.com, number 002, this time in bright blue, women's. This is one of the shirts where the Merch By Amazon account member even copied my Redbubble title exactly: "Deplorable American #basketofdeplorables Election 2016". As of September 27th, I have emailed Amazon's copyright office five times and have received two automated responses and one email dated September 21st "sorry, we are not taking it down because we don't feel there is a copyright claim here" and the Deplorable American 002 listing remains live on Amazon.com, infringing my copyrights. This is the first Deplorable American shirt I discovered on Amazon.com. As soon as I realized the scope of theft, I assigned each counterfeit shirt a number - this is 001. I had to send three emails before I finally received notification on 09-21-16 and confirmed on 09-22-16 that Deplorable American #001 had been removed. What's nutty is while I have been continuing to send multiple emails for the other shirts to be removed, some of them have not had one single reply from Amazon's copyright department, I received an unsolicted email on 09-26-16 from the Executive Seller Relations Team confirming that this shirt's ASIN numbers have been removed and "I hope that I have addressed your concerns regarding these ASINs." What the what? Red Cat and the Moon design on black printed on an indoor doormat. This item, and the next six to follow, are all listed to be shipping from China Mainland. The seller/Amazon brand really likes my doormat designs. They just swept through my store and gobbled up a bunch, didn't they? Crazy Cat Guys are fun! This is my Orange Cat and the Moon artwork on an indoor doormat, with text reading "crazy cat guy" and place for a personalized name. When I see my products with the text template that reads NAME HERE I am always hopeful that it will tip off intelligent shoppers to steer clear until I find it and can send a take down notice. I do wonder though if anyone has ordered one of the counterfeit NAME HERE products and received it weeks later only to unwrap it and see that it indeed is printed with NAME HERE on it. That would be so awkward. This is the "Happy Halloween" version of my jolly jack-o-lantern doormat with room to personalize it with a name - when purchased legitimately on Zazzle. The background on this version is a soft pattern of tan on sand. This is my bright orange jolly jack-o-lantern on a background of yellow and white chevron designed on a doormat. The pumpkin is surrounded by text reflecting the themes and phrases from Halloween: Trick Or Treat, Halloween, Pumpkin, Jack-O-Lantern, Spooky. Personalized funny Crazy Cat Guy doormat in a lemon yellow background with my Blue Cat and the Moon artwork. Funny Crazy Cat Guy doormat in light gray with my Black Cat and the Moon design. The original non-counterfeit version can be personalized with your favorite cat lover's name. 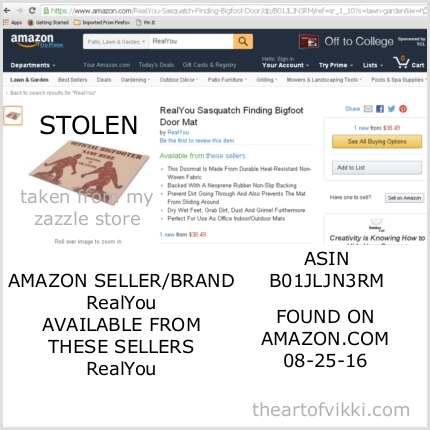 Official Bigfooters would love this double Bigfoot "Keeping It Squatchy" doormat, but please don't buy it from a third party seller on Amazon! I heard a story from one of my fellow artists that they read a review on Amazon from someone who purchased one of these doormats that were sold and shipped from China. 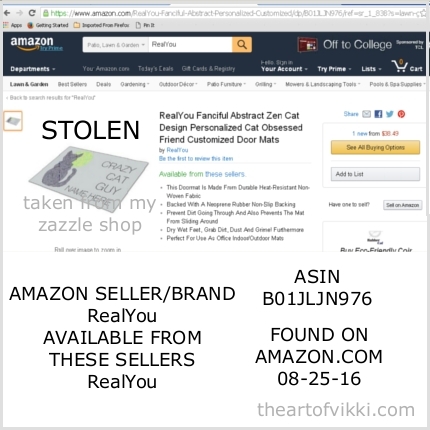 The seller received a small piece of foamboard upon which was glued a paper print-out of the IMAGE of the doormat that they had seen on the Amazon site. I wish I could find that review... without the proof, please treat this story as total hearsay. My abstract Arabian horse head done in swirly pink lines on a blush pink background. This phone case, when purchased legitimately from my store on Zazzle.com, can be personalized with a different name. The square pillow design - from my Zazzle shop - has additional typography in the design with CHEER PEACE LOVE JOY printed on the pillow. It's difficult to see on this badly scalped image, but the background has faint snowflakes in a pale pale green against the slightly darker background. I designed this Christmas pillow for people who like a colorful holiday. My cat and the moon series has proved quite popular on Amazon.com! 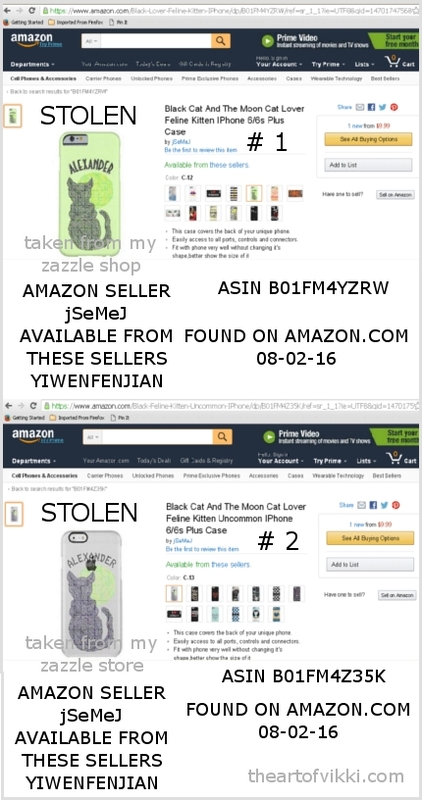 This is the black cat with a green moon version, designed on personalized iphone 6 phone cases. The two shown here were created with slightly different font styles for the name options and one with a pale gray background and the other a light green. I believe the first time the Black Cat and the Moon design ever sold was on an iPhone 4 case. This is my colorful purple coyote sitting next to a cactus and howling at the moon. 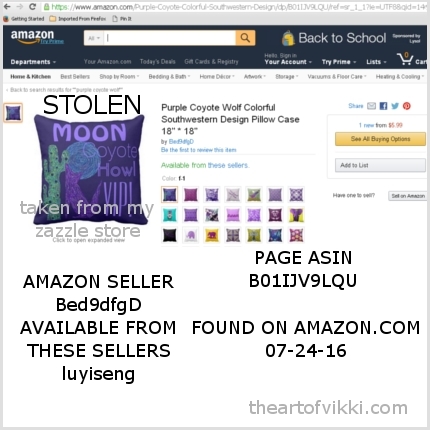 I designed the pillow first with the addition of the MOON COYOTE HOWL and YIP text on a deep royal purple background back in August 2015. I liked the asthetics and interest that the typography brought to the design so much that I used it on additional products: a fleece blanket, a birthday card, wrapping paper, gift ribbon, posters, stretched canvas prints and gift bags. While the original pillow has not sold yet, both the wrapping paper and gift ribbon has been purchased so my instincts were right. The Amazon counterfeiters liked it a lot too. My blue abstract sitting cat, on a light blue background, on a wrist watch. It's so nice, they took it twice! 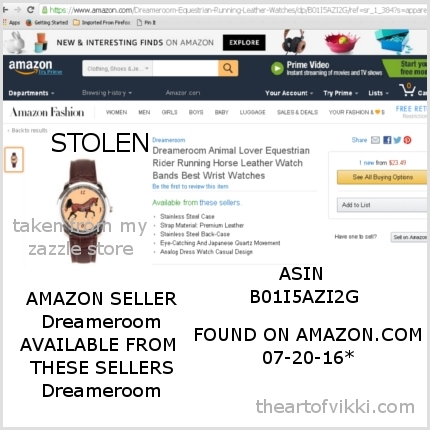 This trotting bay Arabian horse watch and the next 12 items, 13 total, are a little unusual in that I never got the chance to report them to Amazon. 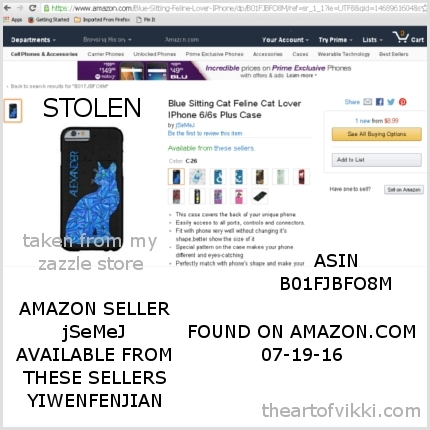 Since I had already reported this seller previously for four infringements, on the evening of July 19th I decided to go through their Amazon store page by page and see if there was any more of my artwork being used without authorization. At that time there were 39 pages to search. I got through just 13 pages, finding these 13 listings, before I had to give up for the night. Actually there were 14 but my eyes were going googly and I was hungry, having put off dinner for hours, and I didn't grab a proper screen shot of one of them. I saved all the files as "July 20th" with the intent to resume my search of the remaining pages the next morning and then email the original 13, plus any additional, to Amazon's copyright/trademark office. When I got back to it around five a.m. the next morning, the seller's page count had reduced to 37 and NONE of the items I had located and documented just hours before were there. 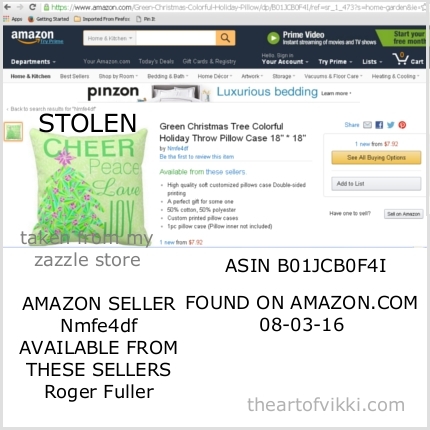 I checked all ASIN numbers and product page links; all items had been wiped off the Amazon.com site without a single infringement report being sent. It was down right spooky. A watch with my TERRA design in blues and greens. This is my unique take on Planet Earth without any white glaciers at the pole. Just to be clear, I did not do this design to make some sort of statement about global warming or anything. I just thought the concept was cool. Light pink and white chevron stripes with my Red Cat and moon in soft purples and silvery grays. My purple cat in shades of lilac, amethyst and plum with a moon in shades of red, on a pale lavender and white chevron pattern background. A background of pale blue and white stripes with my orange cat with a moon in shades of blue. My orange cat. My original artwork. Luna The Full Moon in shades of blue and purple and silvery gray. This is part of my space theme collection in my main Zazzle store under the catagory called "Geek". A magical pentagram design in shades of blue, centered in a celtic knot style circle, all done in my slices of color style. My blue Great White Shark design with blue and white stripes design for a unique aquatic theme watch. Well, it's unique unless you can find a counterfeit version on Amazon.com for like half the price. Blue Cat And The Moon watch on a background of light lemon yellow and white stripes. Blue Cat And The Moon watch this time on a background of white and pale blue chevron. Black Cat And The Moon on gray and white stripes design presented on a watch. A watch with my black cat with a green moon on a green and white stripes background. Counterfeit watch with my Bigfoot in a Sasquatch track design in shades of brown on a yellow background. On the one hand, waking up the next morning to find all 13 additional infringements already taken down without having sent a single email was nice. On the other hand, I did all that work but was denied the opportunity to officialy register thirteen more "dings" against this third party seller, which could have potentially gotten them closed down. Plus, it's a little creepy that they were all removed just hours after I viewed them. Was Amazon tracking my product views in real time that night or something? If they were, that's both disconcerting and dangerous. I do still make purchases on Amazon.com so they had better be careful of removing products before I actually report them as an infringement of my copyrights. 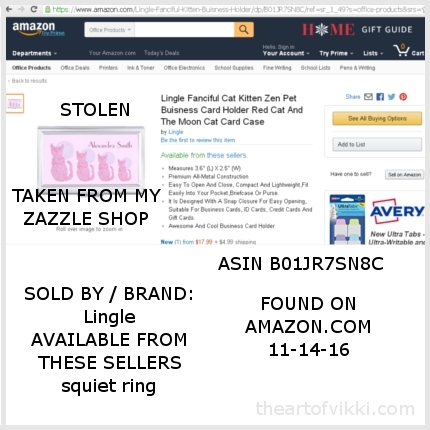 They might end up deleting legitimate items being sold by legitimate sellers. Meow Purr Kitty Cats white and yellow stripes pillow with my orange cat with a blue moon artwork. They thought the blue abstract cat watch was so nice, they took it twice. My blue cat on a black background and a text template to add a name running up the side of the iPhone case. 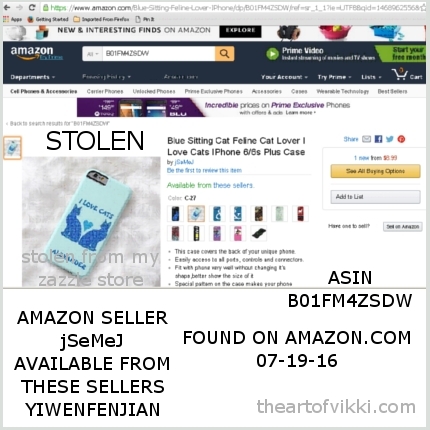 Here is my double blue sitting cats with a heart design once more, this time on an iPhone 6 case with "I Love Cats" text and the option to personalize the phone case when purchased from my online Zazzle store. 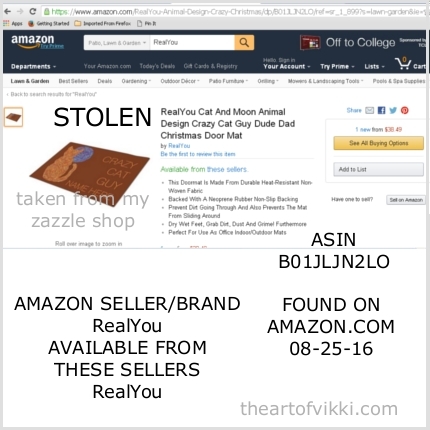 I cannot explain how personally violated I feel when I find these counterfeit goods on Amazon.com using MY artwork. I understand there should be a seperation of personal feelings when it comes to business but as an artist, that is a little more difficult, particularly when it happens over and over again.